Increasing traffic to a site is not the only job of an internet marketer. Increasing business through improved conversion rates should equally as important. The type of conversions and motives depend on the clients niche. In this post I will be analyzing KPI’s i.e. Key Performance Indicators for an eCommerce site. This will give us an idea about the metrics by which we can measure the performance of an eCommerce site. It will also help us to analyze the sections of the site which need improvement in order to increase the conversion rate. Key Performance Indicators (KPI’s) are the metrics used to help an organization to define and measure progress toward organizational goals. In terms of an eCommerce site, KPI’s are the metrics which tell the organization whether the site is meeting their goals and profits is been attained from the business. Each person who visits a store is a potential customer, in the same way every visitor on an an eCommerce site is a potential buyer. A successful eCommerce store is one that converts a high number of visitors into buyers. The aim of all eCommerce marketers is to increase the conversion rate of their store and optimize every page in the buying process. Marketers and agencies need to focus on optimizing the buying process. We need to look for way that make it easier for customers to convert. The customer should never feel lost in the store. Optimizing the sales funnel can improve the conversion rate. The sales funnel or conversion path mostly starts from the category page and the goal of an optimized category page is to lead the user to different product pages or to the product which the user is searching for. To do this, we need to optimize the category pages in such a way that the user can find the product, view it easily. Displaying the overall features of the products inside the category page is the best way to help the user to find what he/she is actually looking for. The image shown above is the conversion funnel in an ecommerce site. From this we can see the number of exits from each step. Analyzing this data can help us to optimize the conversion funnel and increase the conversion rate. Many of us may have seen these metrics in Google Analytics, but most of the time they go unnoticed. Why are “days” and “visits to purchase” great KPI’s? They help us understand the customer’s on-site behaviour i.e. how long it took someone to complete the desired action on the website. For more deep analysis of the data we segment in terms of lead acquisition, which will provide us more with more insight. Visitor loyalty is one of the Key Performance Indicators. It allows us to measure if people visit your site repeatedly and if they do it more frequently. In the case of eCommerce sites, this metric will help marketers to analyze the visitor loyalty and also help to analyze the days needed for the conversion. This KPI for non-eCommerce sites is very useful. Everyone wants people to visit their site again and again; this metric can measure loyalty and recent visits. The image below taken from Google Analytics shows the visitor loyalty. We always have to be careful when reporting Visitor Frequency. Most web analytics tools will automatically put New Visitors into those counts. So make sure to filter out New Visitors. The more loyal the visitors the larger the bottom of the distribution will be. Loyalty is a great KPI when used with recent visitors (when visitors do come back, how much time is there between visits – a day, a week or a month?). If content on the site is updated frequently, recent visitors is a really important KPI to measure for success. In-Page Analytics can give you insight into everything that occurs on your page. In-page analytics is great at showing the percentage of clicks on the page. Marketers can use this KPI to measure the clicks through various navigation tabs in site and estimate the traffic in each area. We can use this tool to analyze if visitors are making it “below the fold” (the areas after you scroll down) or to see if your clicks are concentrated on any specific areas. It will show you where clicks lack and also give you an idea of the normal use of your site. Is the layout optimal for what I want users to accomplish on the page? Are users seeing the content I want them to see? Are users finding what they are looking for? This can help in identifying some of the key aspects which can be very helpful when creating or adapting a conversion-friendly eCommerce site. In 2013 mobile is king, we have see many predictions which clearly demonstrate the importance of the mobile-friendly sites (either, standalone or responsive sites). The image shown below is from an eCommerce site. 18,192 monthly visits from mobile devices. Since the site is not mobile-optimized, the conversion rate is very low. Marketers need to analyze the metrics so that they can make the case for a mobile site. The site visits and the eCommerce conversion rates through mobile devices will be a key metric moving forward. 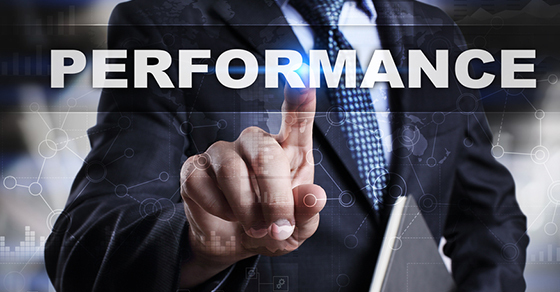 What is your favourite Key Performance Indicator? And what do you think the important KPI for 2013? Share your thoughts, feedback and critiques in the comments.